Incumbency in government brings along with it many burdens. Countless pitfalls await governments which have to get their act together and not only satisfy the multitude of promises made during election campaigns; they also have to live up to the heightened expectations of voters. In many ways, it is easy to be popular if a party is in the opposition because it will be tasked with pointing out the errors of commission and omission of the government of the day. Six months into the term of the current government, a coalition cobbled together between the United National Party (UNP), the Sri Lanka Freedom Party (SLFP) and several other smaller parties after the August 2015 general election, it would be fair to say that the government's performance has been found wanting on several issues which could threaten the goodwill it still enjoys among the masses. To begin with, this is a government like no other. It is headed by a President from the SLFP who was elected from mostly UNP votes. A majority of its members are from the UNP but it also has to carry with it the baggage of SLFP ministers. Some in the UNP question this arrangement. However, both President Maithripala Sirisena and Prime Minister Ranil Wickremesinghe are very keen for this political cohabitation to continue although theoretically at least, Wickremesinghe could invite a few handpicked, high performing individuals from the SLFP to cross over and form a government of his own. The rationale behind the coalition is to secure and sustain a two thirds majority in Parliament which would allow the President and the Prime Minister to honour election pledges they made to amend the Constitution to at least dilute, if not abolish the Executive Presidency and overhaul the system of elections which is currently plagued by the proportional representation system of voting. If there have been differences of opinion between the President and the Prime Minister- and there surely must have been- they haven't become obvious. There have been no public spats and they would have been ironed out through discussion and compromise. That is how it should be. Nevertheless, the conduct of some in the government does give cause to question its commitment to the concept of good governance or 'yahapalanaya', which was their main election slogan. This was first put to the test when inquiries into the activities of the previous regime got underway in earnest. Among the issues being probed was the functioning of the Avant Garde company. In what seemed a spectacular 'own goal', Minister Tilak Marapana, a former Attorney General, a senior UNPer and a confidante of Prime Minister Wickremesinghe rose in Parliament to defend the activities of the company with questionable credentials. So did Justice Minister Wijeyadasa Rajapakshe. With public pressure mounting and his integrity being questioned, Marapana fell on his sword and resigned but Rajapaksa did not. 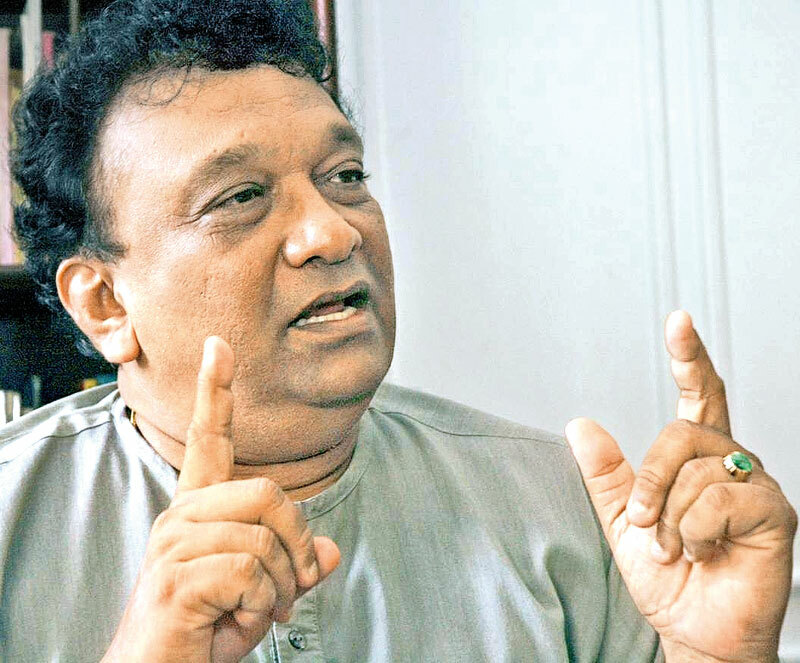 Instead, he got himself involved in a very public verbal duel with Field Marshal Sarath Fonseka who questioned Rajapakshe's dealings in defence of Avant Garde. Since then, Fonseka has been elevated to ministerial rank where he finds himself a Cabinet colleague of Rajapakshe! Politics does make for strange bedfellows but the entire episode leaves a bad taste because one is entitled to question why Fonseka's allegations against Rajapakshe are not being pursued with the same vigour as, for example, charges against Mahindananda Aluthgamage. Then we saw an incident involving first time parliamentarian Hirunika Premachandra, where she was allegedly aware that her bodyguards had abducted a youth and in fact had interviewed him after the alleged abduction. It doesn't help Premachandra's cause when she makes a hue and cry about the alleged arrogant abuse of power by her rival from Kolonnawa, Duminda Silva and then indulges in hijinks of her own. The fact that she is a qualified lawyer only aggravates the issue even more. To be fair, the government did not interfere and the wheels of justice turned, even if slowly, to detain the parliamentarian, albeit briefly, before she was let out on bail. However, whether the young MP has learnt her lesson is a moot point because this week, she was issued a stern warning in court where she apparently behaved in a disrespectful manner. The latest is a controversy involving Higher Education Minister Lakshman Kiriella. The Minister is purported to have issued a letter to the Head of the Department of Political Science at the University of Kelaniya requesting him to employ a person 'known' to Kiriella as a Temporary Lecturer in Political Science. It is recalled that over the years, Sri Lankan universities were by and large independent institutions although there has been a significant degree of politicisation of its administrative affairs over the past four decades. That was after then President J.R. Jayewardene vested in himself the authority to appoint vice-chancellors of universities. Since then, there has been a gradual increase in political interference in administrative matters in universities over the years perhaps culminating during the first term of Mahinda Rajapaksa. That was the time when university staff were wined and dined at Temple Trees and some of them took to addressing political meetings in support of Rajapaksa. They were, of course, rewarded for their efforts when Rajapaksa was re-elected and the message was received loud and clear in the university system: political loyalties- and not merit- were a sine qua non for career advancement within the university system. Indeed, it was this meddling with the university system that provoked many academics to turn against Rajapaksa. They formed a powerful group which campaigned for change and acted as a strong catalyst to create the climate and public opinion that led to Maithripala Sirisena defecting from the SLFP to challenge Rajapaksa's dictatorial tendencies. However, it must be noted that even during Rajapaksa's tenure, there wasn't a significant degree of interference in academic affairs in campuses although the administrative grades were packed to rafters with Rajapaksa's acolytes. In that context, what Kiriella has done is deplorable. He may dismiss the issue saying it is only a letter and that he has powers to send such a document. Kiriella's media office claimed in a statement that in accordance to Article 19 of the Universities Act, the minister had the authority to make recommendations. Article 19 of the Universities Act says: "The Minister shall be responsible for the general direction of university education and the administration of this Act". However, former President of the Federation of University Teachers' Association (FUTA) Dr. Nirmal Ranjith Dewasiri has stated that interpreting Article 19 to suggest that the minister could hire and fire as he wished when there are strict guidelines for the recruitment of academic staff, was completely hilarious. "If you interpret it in the way the minister has interpreted it, then the minister is capable of anything. This justification is even more dangerous than the letter itself," Dewasiri says. It must be noted that this criticism comes from Dewasiri who was a leading light in the campaign for reform which challenged Mahinda Rajapaksa. Already, there are calls for Kiriella's resignation. Many commentators are of the view that Kiriella's defence is worse than his offence. He has been caught on tape using derogatory language on a reporter who was attempting to ascertain whether the letter purported to have been sent by him was in fact genuine. Minister Kiriella is no neophyte in national politics. He was first elected to Parliament in 1989 and now counts over twenty five years in the legislature. He is also the Leader of the House. Wittingly or unwittingly, he has scored another 'own goal' for his government and given the opposition an issue on which they can attack the authorities with glee. The government can save its blushes by calling for his resignation but that is highly unlikely. Therefore, the 'yahapalanaya' government will have to live with this blunder and, among its many dozen ministers, another one bites the dust.